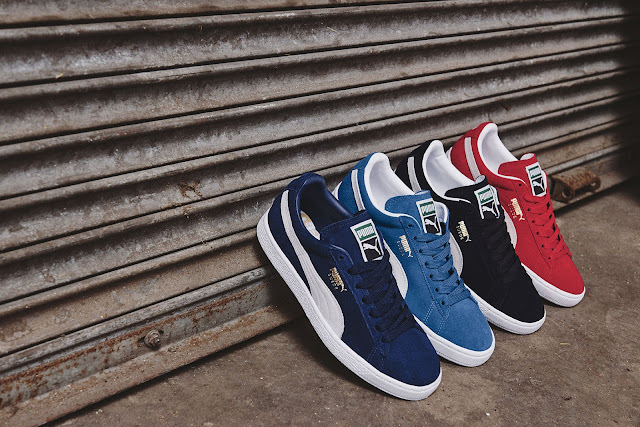 Since it’s debut in 1968, the PUMA Suede has become a benchmark for footwear design, and enjoyed an amazing run as a cultural artifact from one of the most progressive and historically significant eras of the twentieth century. Made famous by athletic greats - 60’s trackstar Tommie Smith and 70’s basketball legend Walt "Clyde" Frazier, the Suede hit new levels of fame during the '80s dawn of b-boys and hip hop beats, taking over New York City blocks. As the times changed, the Suede went with the flow. Soon after the makeshift carton dance floors were packed away, the sneakers found its way to sticky moshpits headlined by punk acts and then on skaters pulling tricks on a half pipe. These days, you’ll see heads rocking the Suedes in their cozy sweat chinos or pin-rolled jeans and models with their off-duty looks. It’s the Suede’s timeless look and easy silhouette that appeals to sneaker enthusiasts. Some wear it for its function, the rubber outsole grips really well, and some for its style – with its plush leather upper and variations of colourways available. This season, PUMA puts the limelight on a young roster of tastemakers currently making waves in the music and entertainment arena. Style icon and social phenomenon Kylie Jenner, snap queen and director of vibes YesJulz, hip hop’s catchiest duo Rae Sremmurd and 100% amped up rap artist Young Thug round up this amazing list of creatives. These kids don’t work 9-5, they’re on Snapchat 24-7 and the Suede is a staple in their sneaker rotation. Today they are keeping the sneaker culture interesting and alive with their unique sense of style and influence. 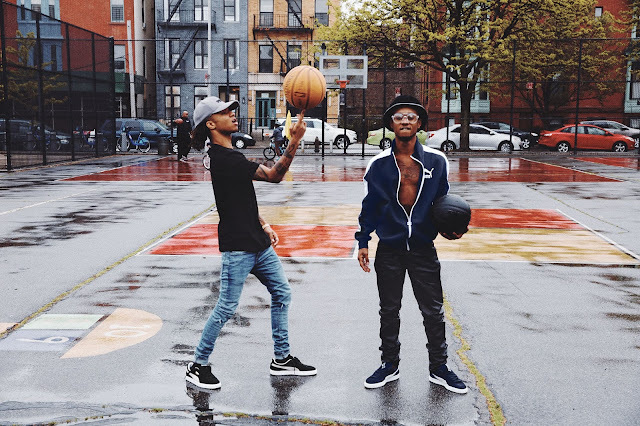 As a cool nod to the past, PUMA tapped legendary OG street photographer Jamel Shabazz to shoot the young tastemakers in Suedes and streetwear garb around Bed-stuy in Brooklyn. Shabazz was instrumental in popularising the Suede in the 80’s with his snaps of the New York City street culture and hip hop scene. 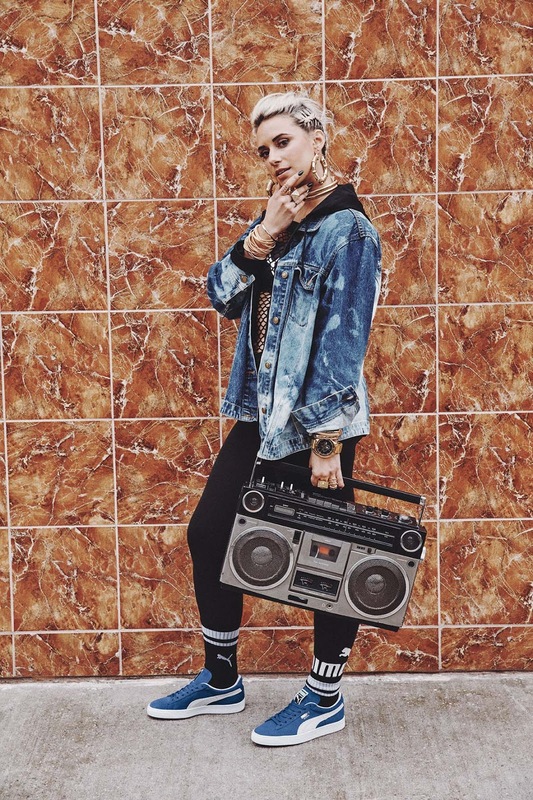 The images will be showcased in PUMA stores globally and featured on social channels. Seeing these young breed of tastemakers rocking the Suede gives the iconic sneaker a fresh perspective. We can only be sure that the Suede will continue to transcend cultural trends and generations in the coming years. The unisex sneakers are available for R1 299 at PUMA stores and PUMA SELECT Bree Street, Cape Town and Braamfontein, Johannesburg.